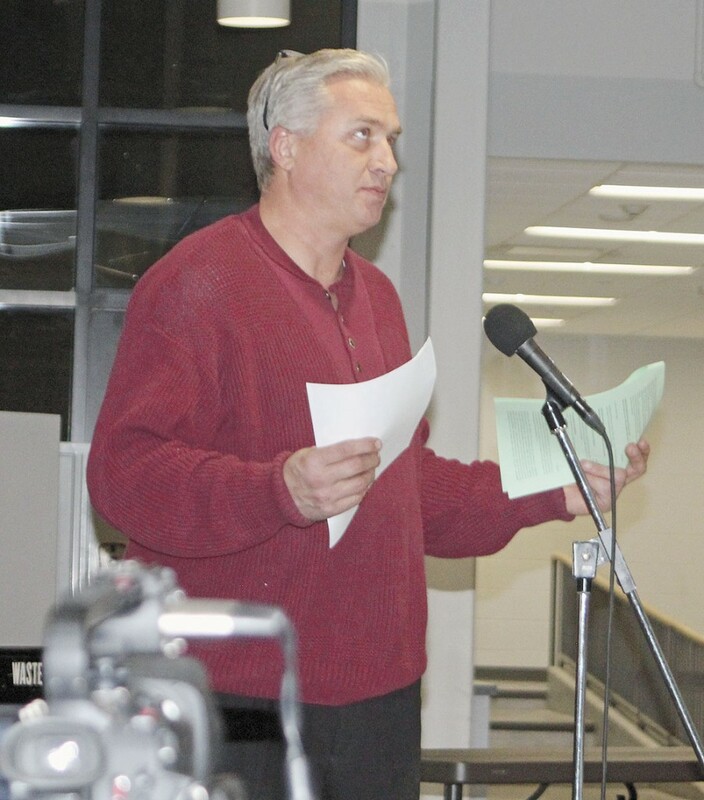 The developer proposing to turn the former middle school building into apartments told the Charles City Board of Education Monday evening that he has no intention of making them into low-income housing. Shawn Foutch is agreeing to purchase the 1932 section of the building for redevelopment, and he made it clear to the board that he has no intention of using the apartment space for what’s often referred to as “Section 8” housing. “It’s very important to note, that although there are other programs we could do to make these low-income apartments, that is not what we are proposing to do here,” he said. Foutch shared his background, work and plans for the property. 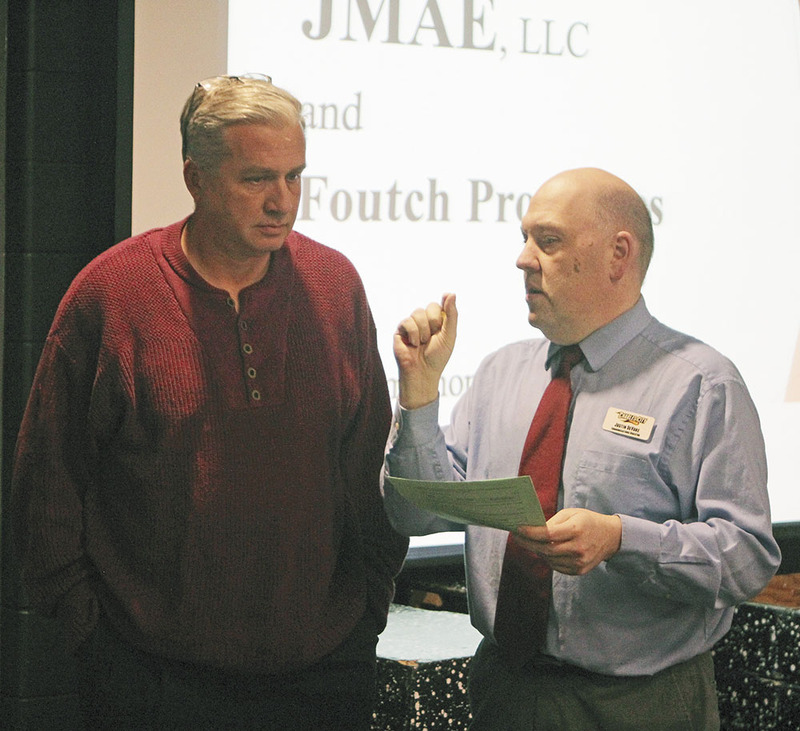 Formally with Foutch Brothers LLC, Foutch is currently the proprietor of JMAE LLC, based in Johnston. “All of the work that we do is in Iowa,” said Foutch, whose background is in engineering. Recent rehab projects include schools in Shelby, Algona, Fort Dodge and Storm Lake. Foutch said those examples are almost exactly like the North Grand Building. “There are a lot of schools just like yours all over Iowa and the Midwest,” he told the board. “They were built 90-100 years ago, they’re functionally obsolete, but they’re still cool buildings. They’re built like fortresses — they’re really well built — and they’ll be around for a long time. Foutch said that usually no two apartments are exactly the same, and the old school buildings make great places to live. “Our apartments tend to have the things that old school buildings in the 1920s and 30s had — hardwood floors, huge windows, high ceilings, wide hallways — they have all these cool things that you can’t possibly afford to build in a new apartment complex,” he said. The North Grand Building is listed as the “Charles City Junior-Senior High School” on the National Register of Historic Places. It was built in 1932 and first served as Charles City High School. Most recently, it was Charles City Middle School. It stopped serving as general purpose classrooms when the new middle school opened in 2016. He said he expects to put somewhere between 35 and 40 apartments in the building, as well as a manager’s office, a laundry, a fitness center, open community space and other amenities. Foutch said that concentrating on historic properties gives him access to funding that other developers aren’t easily able to procure. The process, he said, will take about three years. It will take two years of architectural design work and engineering, and to get all the financing squared away. Once that is done, it will take a little less than a year to renovate the building. If the transaction moves forward, Foutch will acquire the building for $1. He said the renovation will cost about $5 million, with just over $4 million of that in construction cost. He estimated that $1 million will come from state historic tax credits, $800,000 from federal historic tax credits, about $400,000 to $600,000 from grants from other sources, such as Iowa’s workforce housing program and the Iowa Department of Natural Resources. After that, money will come from Foutch through about a $2 million dollar mortgage, and some support from the city of Charles City in the form of tax abatement or tax increment funding (TIF) in lieu of a tax abatement. In the meantime, before the renovation starts, Foutch has been working with Floyd County to use parts of the former middle school building to temporarily house some county offices that might need to move when construction starts on the new county law enforcement center and updates to the county courthouse. No action was taken on the transaction on Monday. No vote will be necessary until all the legalities of the contract are worked out. The board also approved final specifications for roofing contracts at the high school and Washington Elementary on Monday. Contracts for roofing sections L and N were awarded to Northern Cedar Service Co. for $64,188 and $43,212. Section L is approximately 6,922 square feet and is east of the high school cafeteria building structure located just north of the gymnasium. The contract for Washington’s L-shape roof specification was awarded to Midwest Roofing Company for $21,500. These projects will be funded by Physical Plant and Equipment Levy (PPEL) funds. The specifications for all three projects are for slightly sloped rubber roof with foam insulation. The specifications were sent to three contractors. In other business on Monday, the board recognized the work of school counselors Sandy Thomson Scotti Hagensick, Brooke Hottlle and Chealsey Moen with a proclamation, in observance of National School Counseling Week, Feb. 4-8. District Superintendent Mike Fisher also provided a brief update to the board on the athletic complex and its progress. He reminded the board that on Feb. 23 there will be a sports complex banquet fundraiser at the Youth Enrichment Center at the Floyd County Fairgrounds. There will be no school board meeting on Feb. 11, as originally scheduled. The next school board meeting will be on Feb. 25 at 6:15 p.m.
• Approved a temporary agreement with the Floyd County Emergency Management Commission for the temporary use of a district facility as a public shelter during a natural disaster. • Approved the amendment of a contract with the Floyd, Mitchell, Chickasaw Early Childhood Iowa board and the area provider, Learning Connections. The amendment will increase the budget in the contract by $811, bringing the total budget amount to $16,311. • Approved the senior leadership team terms and conditions of employment, which have been combined into the senior leadership team handbook. • Heard the Jan. 2019 district financial report from Terri O’Brien, director of finance. • Approved the resignation of Rick Gabel, middle school principal, effective June 30, 2019. The board thanked Gabel for his years of hard work and service to the district. • Approved the appointment of Patricia Kilby, bus driver/custodian, at the wage of $16.52 bus/$16.09 custodian, as of Jan. 29. • Approved the classified employee transfer of Jesusita Smith, from instructional assistant special education and native language interpreter to native language interpreter. • Approved the classified employee transfer of Sarah Vanderwerf, from administrative support specialist 1 (campus clerical focus) to administrative support specialist 2 (clerical and special education focus K-12).